As in life, a query letter is all about making a good first impression. Too often writers start off on the wrong foot. Or they do not take the form seriously and its words resemble an incoherent afterthought. A disregard for the format will see your letter cast aside without even being read. 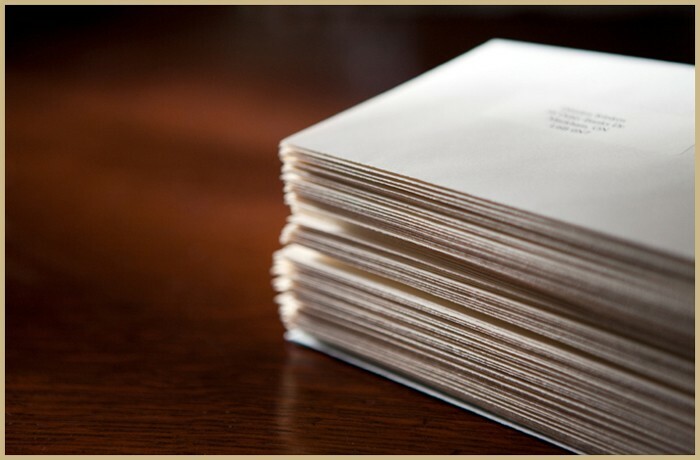 Literary agents and publishers do not have the time or patience to read rambling or illegible queries. The writers who respect the rules and apply them accordingly in their query letter have a far higher chance of being read. If a publishing professional spread fifty query letters received either in print or by e-mail, across a desk, they would instantly see those with the distinctive white space of a perfectly formatted three paragraph query. There are even some agencies whose assistants do this in advance to filter those deserving the eyes of the literary agent. A query letter is far more than an actual letter, it is a literary audition. That is not to say that the prose needs to sing, but the respect for its form will get you on the stage. Dear...the actual name of the literary agent or publisher. Never put Sir (they have not been knighted) or Madam (they do not work in a brothel). Always, without exception the name of the person you are addressing your pitch too. The eyes of a literary agent or a publisher are trained to scan. They have little interest in small talk introductions. They will always scan straight to the story being pitched. So never ever start with why you are approaching them, or why you love to write. They are so inundated with query letters that those opening sentences are monotonous irrelevancies to their eyes. Cut straight to the chase: the book in question. **Write a blurb for your book, similar to the ones you see on the back of every book. What the story is about, the main protagonists, and entice them with the ending. This is your CV / Resume in a single paragraph. Pick out the more impressive aspects of your writing history and include them. Do not list them. Use prose to make them readable. If you do not have any writing credentials worth mentioning, then use this paragraph to explain why you alone are best suited to tell the story of your book. Show that you are an authority on the subject in question. This could either be that you did a similar job to the protagonist, or the lengths you went to in your research. This is also the section for you to mention why you are approaching them in particular. When you do so, do not under any circumstance mention another book you are writing, or planning to. Put all the focus on the one book you are pitching in the letter. End the letter with three points. *Never send a query letter about a novel that you have not finished. Only Non-Fiction books are allowed to be pitched before completion.